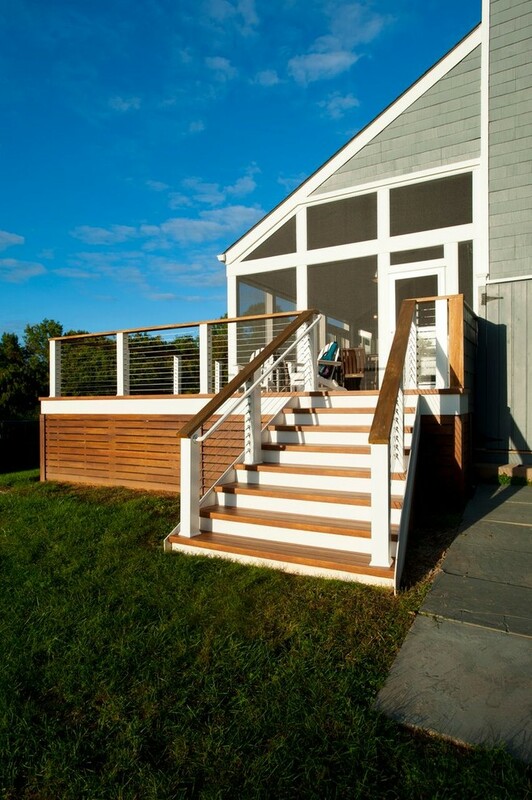 A deck will be complete and safe when you install a railing. Before installing it, you should look for the right material for the railing. 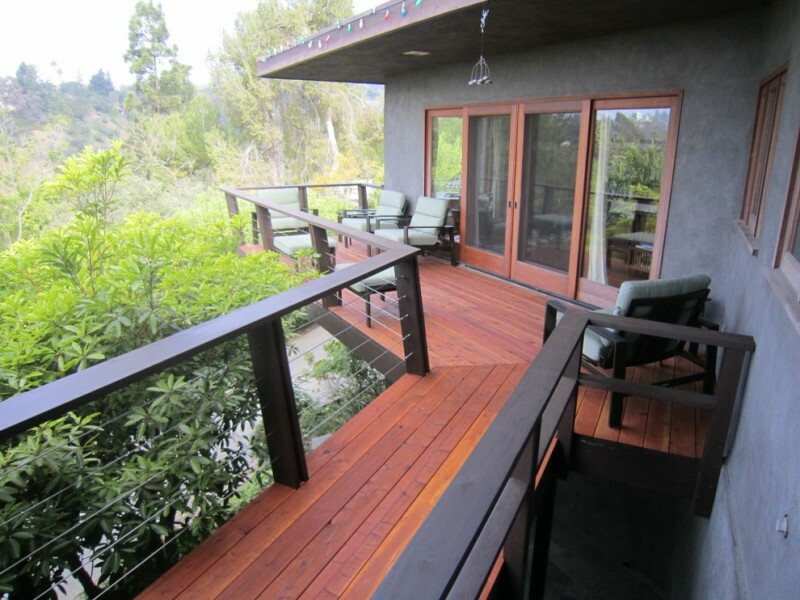 Since the railing deck is placed in an outdoor space, a metal or cable railing will be more suitable. 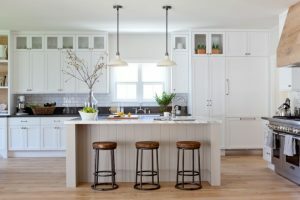 Cable railing will be so durable and easy to make. 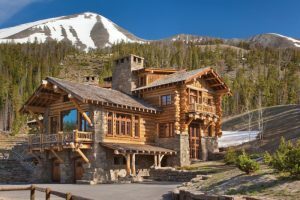 You can complete it with the nice staircase and wooden railing top. The following are some trendy cable railing deck ideas that will inspire you to create a durable and minimalist railing for the deck. 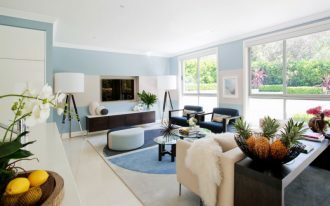 The presence of the green comfy chairs and wooden floor make this space look so comfortable. The dark stain wood top rail with stainless steel cables has completed the deck features. The greenery near the house makes a nice natural decoration. 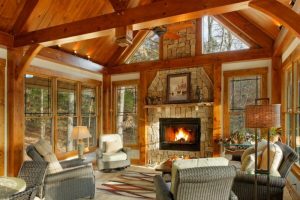 This house offers a screened porch with an elevated deck. The material used for the deck and railing are low-maintenance decking and stainless steel cable handrails which also have graspable handrails. Building a hillside deck and cable railing is a good way to let people enjoy the scenery and the fabulous view. It will be perfect by adding some outdoor furniture items such as chairs for seating, a small table to put a drink, and a parasol. 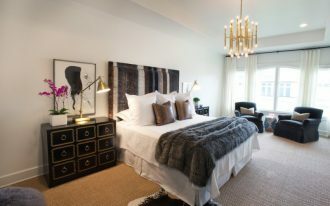 This contemporary house provides an open bedroom by installing glass windows and doors. 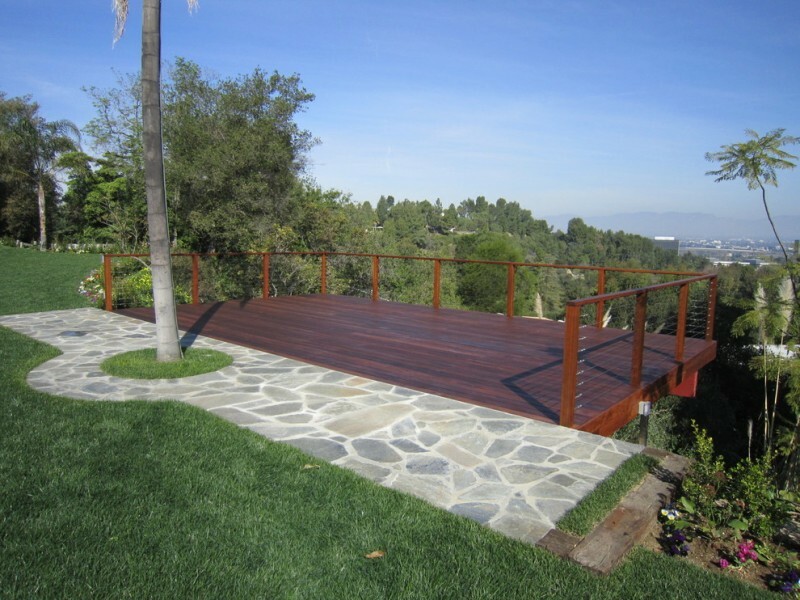 To make the exterior complete the open space style, a spacious wooden deck is built nicely with the cable railing. 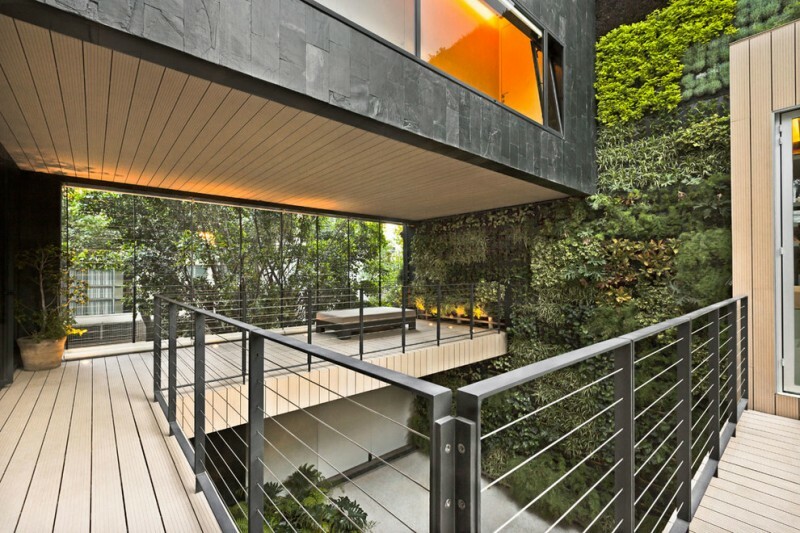 The cable railing deck is nicely made among the stone elements and green plants. 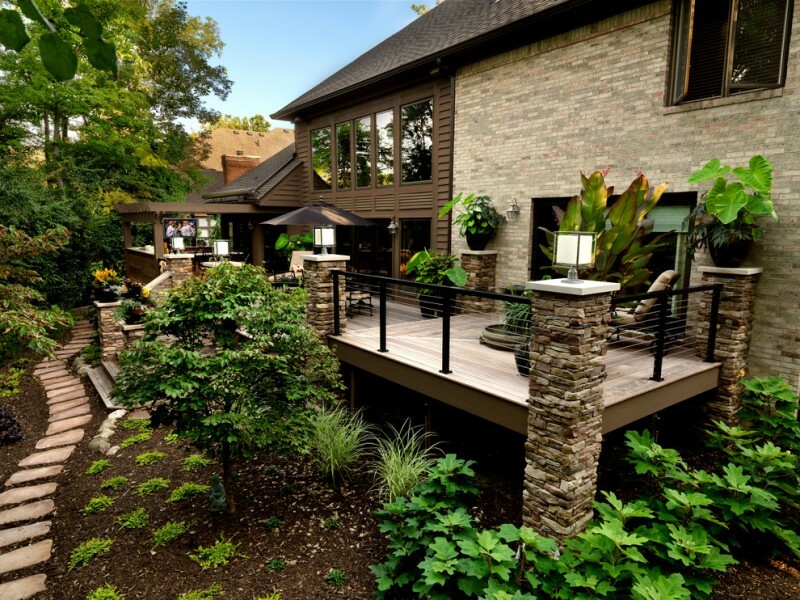 The stacked stone pillars make the deck durable and safe. While the railing features cable railing with black iron frames. 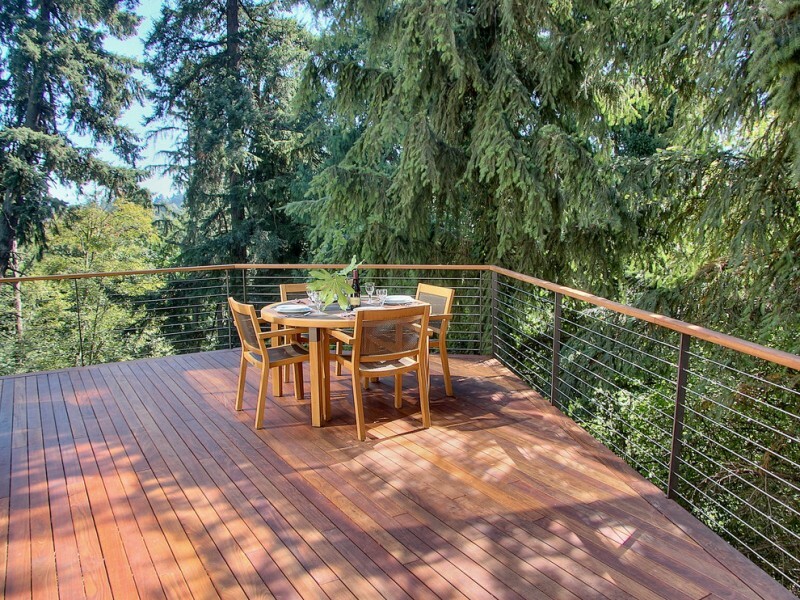 This spacious deck blends well into the wood. 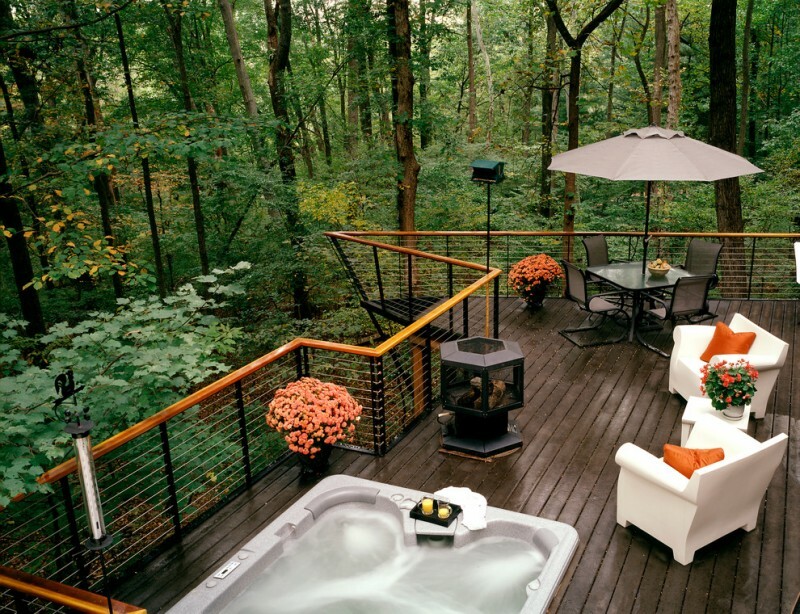 It is absolutely a perfect deck which provides a bathtub, the comfortable seating spaces, and a firepit. Those luxurious features are framed by the cable railing with the wood cap. 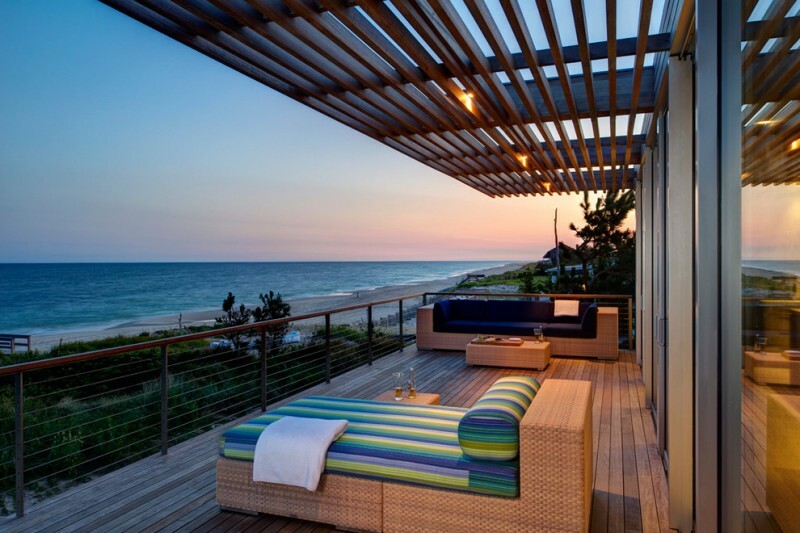 Looking at the beauty of the beach, the sea, and the sky can be done by making a comfortable deck. This des offers outdoor seatings where you can enjoy having a nice conversation with friends and family or just laying down to enjoy the scenery. This is a creative way of installing the cable railing. The beautiful design for looking down from the deck without railing getting in view and disturbing your eyesight. The idea of making steps into benches in this deck is so smart. You should upgrade your railing to make it not looking shabby. You can change the railing with the cable railing. 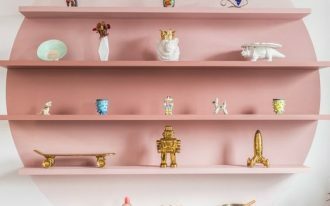 It can contribute to a more contemporary deck style. 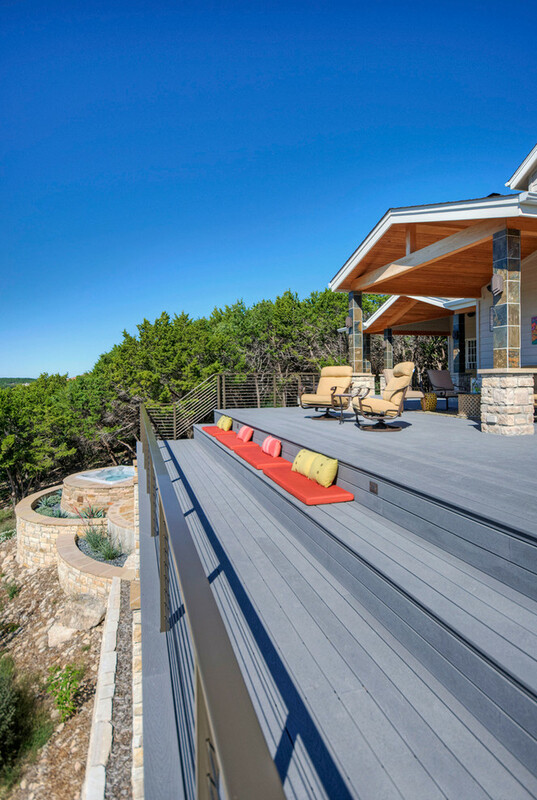 The raining on this unique deck is a custom metal design handrails with cable rails. 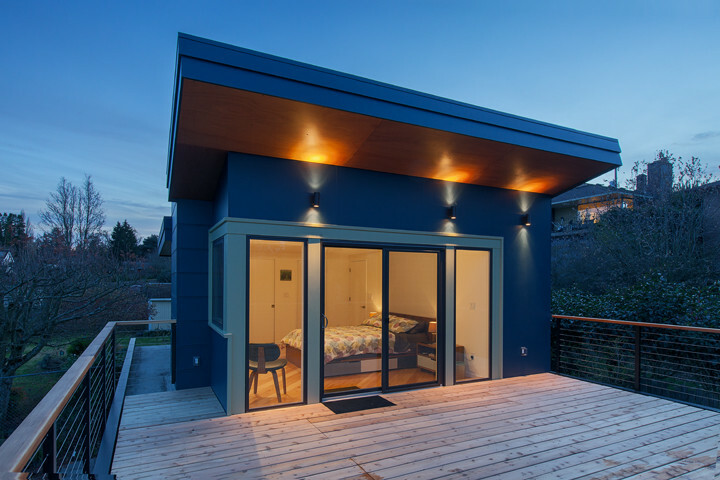 The black box structure upper the deck makes this home look so modern and minimalist.